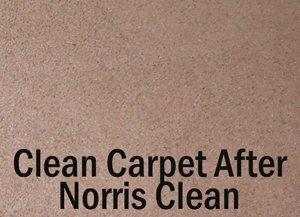 Before and after pictures show how well Norris Cleaning and Restoration can improve the looks of your carpet. 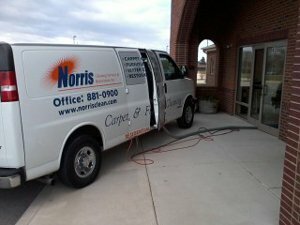 Norris Cleaning has been serving the Indianapolis Indiana area with water restoration and carpet cleaning services for over 20 years. We specialize in both commercial and residential carpet cleaning. Doug Norris is the owner and operator of the company so you know it will be done right. Doug has been doing great cleaning and restoration work for business and residential customers in the Metro Indy area for over two decades. He takes personal pride in doing a great job every time! 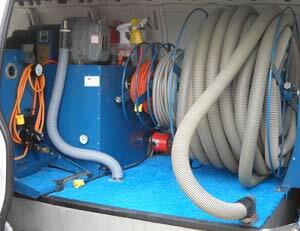 We use truck mounted carpet cleaning systems which cleans deep and drys fast. The Carpet Rug Institution has reviewed and approves our carpet cleaning methods. Carpet manufacturers and industry experts suggest that your carpets be cleaned by a professional at least every year to 18 months. Carpet that has been soiled should be cleaned as soon as possible to prevent the dirt from being ground in. 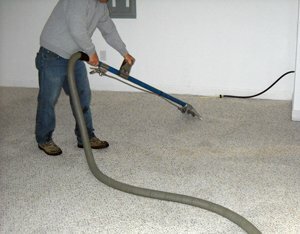 This can help keep your home, office, store or restaurant carpets looking their best. 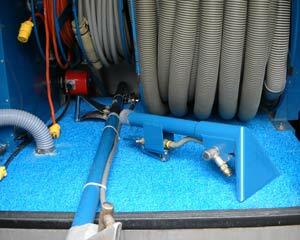 We use truck mounted carpet cleaning systems which clean deep and dry fast. This equipment uses powerful heated filtered water and special cleaning solvents to clean your carpet deep down. The system's pressures, temperatures and the pH of the cleaning agent are all carefully controlled. This system is a warm water extraction process and patented cleaning solutions use no abrasive brushes or harsh chemicals. Consequently, it will get your carpet clean without damage to the fibers. More than 95% of the treated water we use to clean the carpet is recovered by the powerful truck mounted equipment. This allows the carpet to dry quickly, stay cleaner and last longer. The Carpet Rug Institution approves this system's cleaning methods which means they are safe for your carpets. Our process leaves carpet soft with it's texture restored, colors brightened and it will be better able to handle dirt in the future. The carpet will look better, smell better and last longer. Our process and solution are approved as safe for carpet fibers by carpet industry leaders and associations. 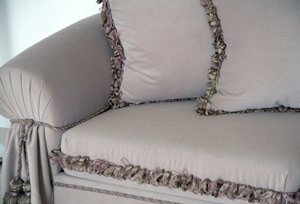 Norris Cleaning and Restoration does great work on furniture and upholstery too. Our cleaning system is safe and has special tools for furniture and upholstery. See more on furniture cleaning here. We have coupons for carpet and furniture cleaning on this page. Avon , Broad Ripple, Brownsburg, Camby, Carmel, Clermont, Cumberland, Edgewood, Elwood, Fishers, Fishersburg, Fortville, Geist, Greenwood, Ingalls, Lapel, Lawrence, McCordsville, Mooresville, New Palestine, Noblesville, Speedway, Strawtown, Whiteland and Zionsville.